Today officially marks the 10th Anniversary of The College Dropout. Today officially marks the 10th Anniversary of Kanye West's critically acclaimed debut album, The College Dropout. Much has changed for hip hop and Kanye in the past decade, a lot of that due to the lasting impact of his freshman effort. More conscious emceeing on the mainstream level and a drastic shift in hip hop fashion each trace back to the album's release. Kanye wasn't the first rapper to place emphasis on either, but his influence contributed to both being prevalent in today's culture. With The College Dropout turning 10 today, Celebrity Sole Watch flashes back to 2004, when 'Ye was busy touring the album in London. 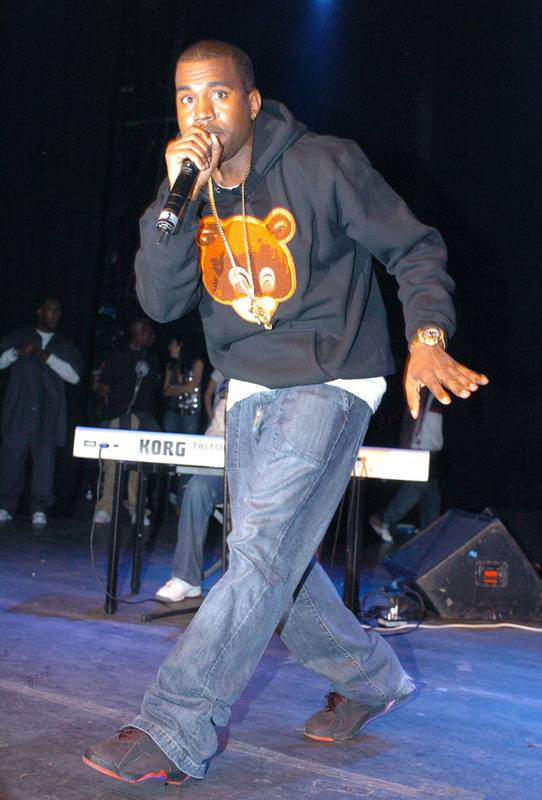 For this particular performance, he rocked a College Dropout Bear hoodie and the '02 Black/Red Air Jordan 7 Retro. At this point, the Yeezy hadn't yet jumped over the Jumpman. 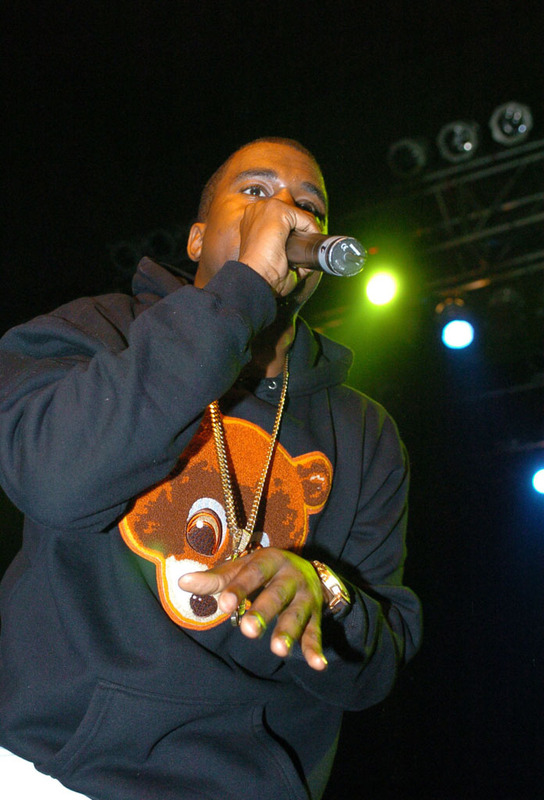 What are some of the memories you have picking up The College Dropout back in 2004?